Just another muffin for your perusal. It was a really hot weekend here in Melbourne when I cooked these so I limited having the oven on for just one 30 minute period. 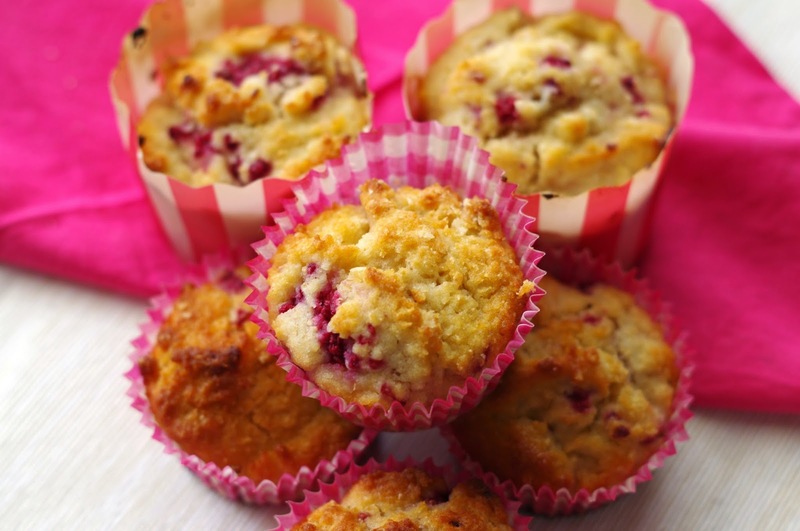 My Mexican Tortilla Pie and these muffins made the cut and were cooked together to provide dinner and a week's worth of lunch box treat in one hit. I've finally started to play with coconut flour I've had sitting in the pantry for a while. I'm still working it out, hence only using 1/4 cup of it here to start with. You can easily substitute the coconut flour for an extra 1/4 cup of self raising flour. I do know that coconut flour absorbs a lot of liquid, so I increased the buttermilk. Normal milk can also be substituted for the buttermilk. I've kept the sugar content quite low, but I didn't use my apple sauce substitution as I didn't want to play around with other ingredients too much while I was already playing with the flour. Another successful lunch box batch up - happy days! Combine the flours, sugar and coconut in a large bowl. Add oil, eggs, milk and vanilla and mix until just combined. Spoon the mixture into a 12 capacity muffin tray lined with paper liners. Bake for 25 minutes or until golden and cooked though when tested with a skewer. Transfer to wire rack to allow to cool completely. 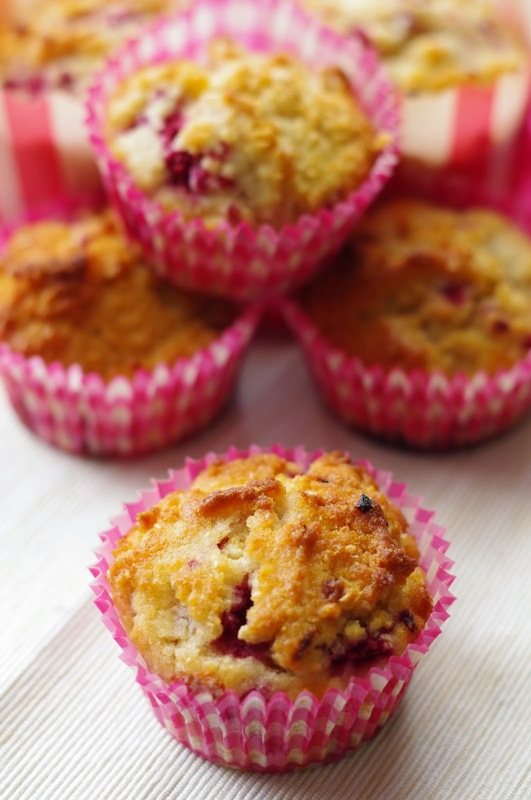 What's your favourite recipe that uses coconut flour? Great for the lunch box - adding it to my list! 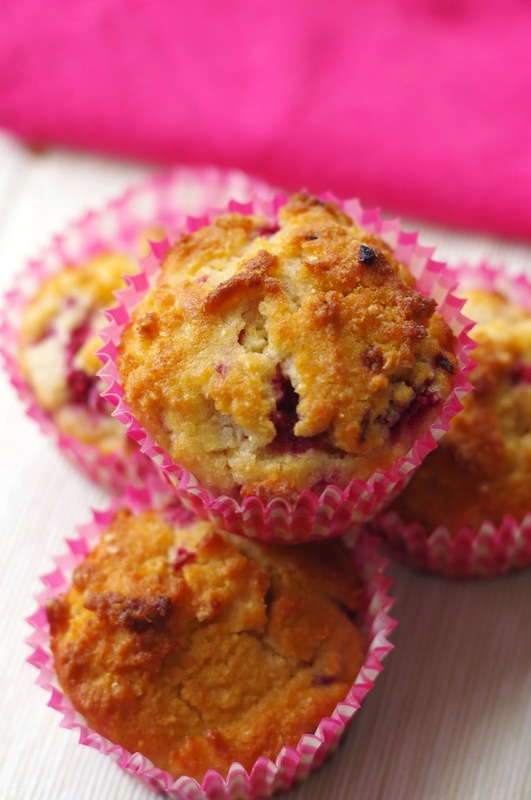 I'm a bit of a chicken when it comes to coconut flour but these look delicious. Coconut and raspberry are a winning combination! 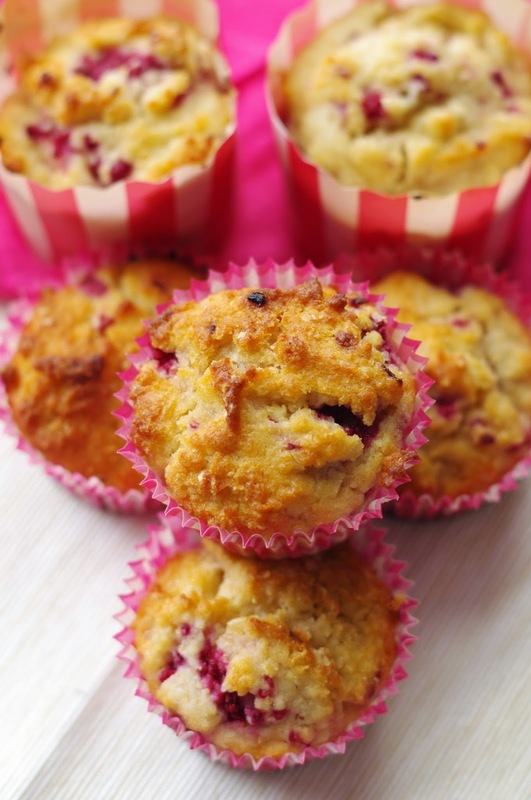 Muffins are one of my favourite snacks and these look wonderful! And how cute are your pink patty cases? Love them!